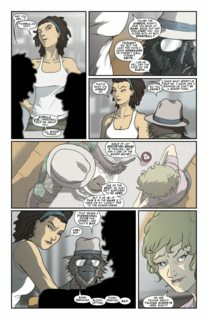 Marvel Apes – Grunt Line Special (2009) : Evolution got ya down? Fear not hairless ones, because MARVEL APES are about to get HAMMERED! 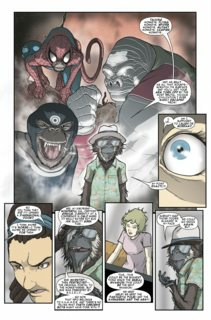 When teenager Roy Reyna finds he can transform into the super-powered simian APE X, it’s more fun than a barrel of monkeys…until H.A.M.M.E.R. agents capture him. The next thing Ape X knows, he’s in a secret prison being interrogated about some strange…Ape Universe. He doesn’t have the answers they want, and they don’t believe him. 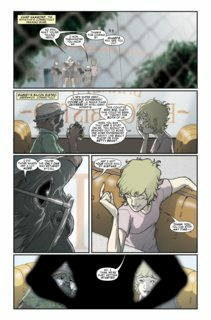 But they’ll break him, one way or another… Ape X’s only hope is Jane Potter- a young journalist working for the Front Line newspaper, hungry for her first Big Story- plus her quirky co-conspirators: the Initiative’s furry fury, Gorilla Girl, and the world’s most lovable loser, the Gibbon. All this banana bunch has to do to save Ape X is break into the secret government facility known as…PROJECT PEGASUS. Mix in some bad puns and big guns, the Red Ghost’s Super-Apes and a sinister cyber-simian called Ooktron, and the fur really flies! But escaping from Project Pegasus is no joke- and on this front line everyone is expendable!